A great example of a Napa Cabernet. The Mondavi name is associated with many spectrums of wine right from the top end Opus through to the commercial low end wine we normally see on the shelves. This reserve wine is from the former. 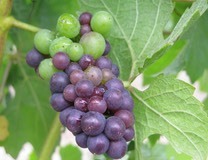 The color was deep red and the initial nose was of blackcurrants with a hint of cherry. We had decanted this for about an hour before drinking and the time was well spent. On tasting the blackcurrants were supported by hints of chocolate, cedar wood and lush smooth tannins. All together this was a well balanced wine and I am sure it will be good for years to come.